1. Send a birthday card. OK, you’ve probably already heard of this idea, but it’s a solid one. Most people love getting cards. Birthday cards also stand out in a pile of business sized envelopes and flyers. Sending a card is an easy way to show you’re thinking about the client, and it will help the client remember you – which could come in handy if they or a friend need happen to need help with something. 2. Send cards for anniversaries. You’d probably be pretty angry if your significant other forgot your anniversary. Show your clients that you remember when they became your client by sending a card. It will show you care – and it’s a good time to check whether the client needs anything. You can also send cards to commemorate other important events, like the anniversary of your client’s retirement. 3. Celebrate other people. Does your client have children? Ask when their birthdays are. Then you can send a message asking your client to pass along your birthday wishes. If a client mentions that a child is graduating high school or college, send a card to offer congratulations. If anything is important in your client’s life, honoring it is a good way to keep in touch – without resorting to saying that you’re just checking in. 4. Don’t forget about the pets. Seriously. 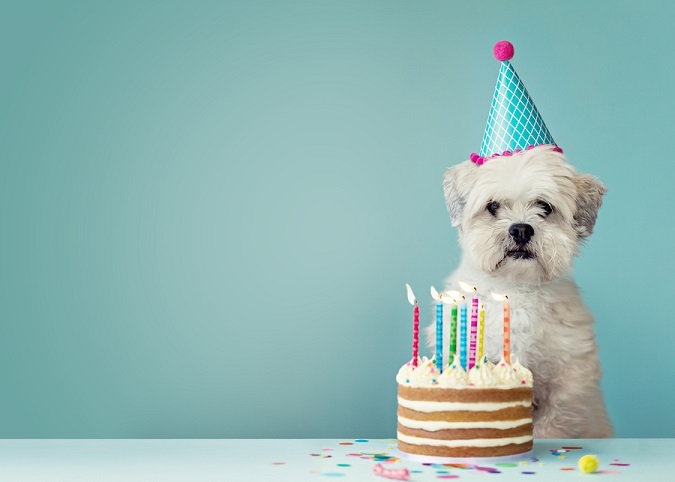 It might sound silly to send a birthday card to a client’s dog, but people love their pets. According to a Harris Poll, 62 percent of Americans have at least one pet, and 95 percent of pet owners consider their pets to be part of the family. These furry family members are often ignored by others, though. You can stand out by remember your client’s pet. Note the pet’s name and an important date – for example, the anniversary of adoption. If you don’t have a date, you can use National Dog Day (August 26), National Cat Day (October 29) or National Pet Day (April 11). Send a card to the pet. The pet might not care, but the owner is sure to smile. 5. Celebrate other holidays. You might send out a card for Christmas or New Year’s, but that’s only once a year. Celebrate other holidays to keep in touch throughout the year. Valentine’s Day – Send a Valentine. Patrick’s Day – Send a note letting clients know how lucky you are to serve them. Thanksgiving – Send a card that says how thankful you are for your clients. Literally any day – National Day Calendar keeps track of 1,500 National Day, Weeks and Months, from Talk Like a Pirate Day (September 19) to National Smile Day (May 31). Anytime you want to get in touch, you can find a day that fits your needs. Just don’t send a card for every single national day – 1,500 cards a year would be overdoing it! Need help with your Medicare Insurance marketing? Contact WAP.